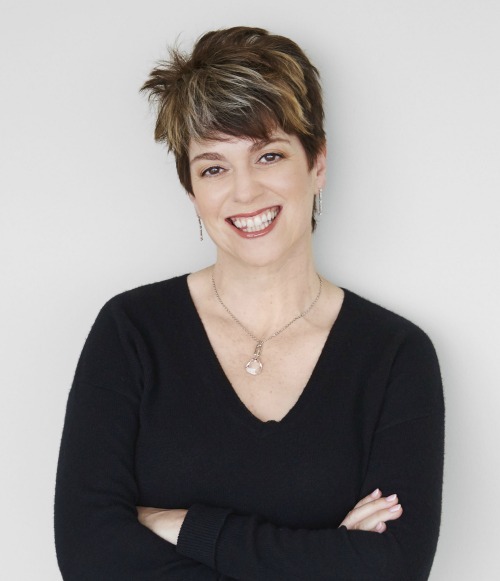 New York Times bestselling author Kristan Higgins pens a poignant story of friendship and self-acceptance with her latest, GOOD LUCK WITH THAT. The novel imparts the story of three friends who met while at a weight-loss camp as teens. When one tragically passes away, she leaves one final wish for her best friends: to conquer the fears they still carry as adults. In the spirit of GOOD LUCK WITH THAT, Kristan has written a piece where she speaks to the importance of self-care. Treating yourself to a manicure or some chocolate is nice but she takes things deeper and beyond these small indulgences. 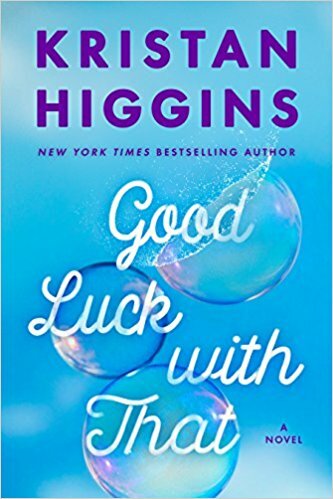 I’m thrilled and honored to share what Kristan wrote on the blog, and don’t forget to pre-order GOOD LUCK WITH THAT, which is out August 7th. One of my doctors is Romanian, and she always says goodbye with these words: “You take care of you.” It seems much more impactful than the more casual “take care of yourself.” Her words are a direct order, and it’s very clear. It’s my job to take care of me. Marley and Georgia, the protagonists and best friends in Good Luck with That, have to figure out what taking care of themselves actually entails. Now, I’ve got nothing against a pedicure, a Netflix binge-watch and an ice cream sundae, but self-care is more than self-indulgence. It takes research and practice for some of us. I spent decades learning the difference between a temporary escape and what’s truly me taking care of me. Establish and maintain boundaries. “Good fences make good neighbours,” Robert Frost said in his poem Mending Wall. Preach it, mister. We all have people in our lives we have to deal with but who don’t bring out the best in us. They might use us without reciprocity, put us down, push our buttons or bring on a tailspin of emotional distress. It’s perfectly okay to annex those people. In fact, it’s necessary. Maybe it’s the preemptive phone call to your mom so she won’t call to complain about how you never call. Maybe it’s being more honest with that endlessly needy friend who only reaches out when she needs a favor. Maybe it’s as simple as learning to say, “I’m sorry, no.” We want so much to be the best person—friend, daughter, partner, employee—that we can find ourselves giving away our time and energy to people who pull us down and drain us. Time to stop that nonsense and reclaim your time. Rest. I’ve never met a nap I haven’t loved. There’s something profound in the act of deciding you need to shut down for a little while, especially when it seems the rest of the world is being very busy and important. Rest isn’t laziness; it’s good for the brain, soul, body, creativity, health, happiness. Likewise, teach yourself to have a good night’s sleep. In Good Luck with That, Georgia is so consumed with issues regarding nephew, her family, her job, her friends and her ex, that she ends up in the ER. Let’s not have that happen to us. Make your home a happy place. Georgia and Marley are really gifted at this in Good Luck with That—they surround themselves with things that bring them happiness and comfort. For Marley, it’s family photos and good food, flowers from her garden. For Georgia, it’s classical music and the allure of sparkly things from HomeGoods and Pier One Imports and her beloved dog, Admiral. Whether you share a house, live in an apartment or have your own home, make it a place that lets you feel grateful and relaxed when you walk through the door. Try new things. Life is long (hopefully) and full of surprises. Take a class, join the library’s book club or community chorus, check out Meetup.com for a hike or a foreign film. If you don’t love it, that’s okay! You tried. Your free time wasn’t spent the exact same way as your free time is usually spent. A few years ago, I bought some paint and brushes. From time to time, I take them out and smear them around on a canvas. I like the smell of paints, the colors. I have no talent for painting, but who cares? It’s the act itself, not the result. Write down your best qualities. I know, I know, this sounds kind of…cheesy. It’s not. We’re so hard on ourselves! As women, we often dismiss or deflect compliments and focus on our flaws. So break the habit. Write down what you’re proud of, big or small—you’re a good daughter, you bake delicious banana bread, you’re nice to old people, you have a big smile, and you’re great at hailing cabs. In Good Luck with That, Georgia and Marley remind each other of how valued and loved the other is. They have each other’s backs, always. Be as good to yourself as your best friend is. I love this post, and I’m SO excited to read this book!